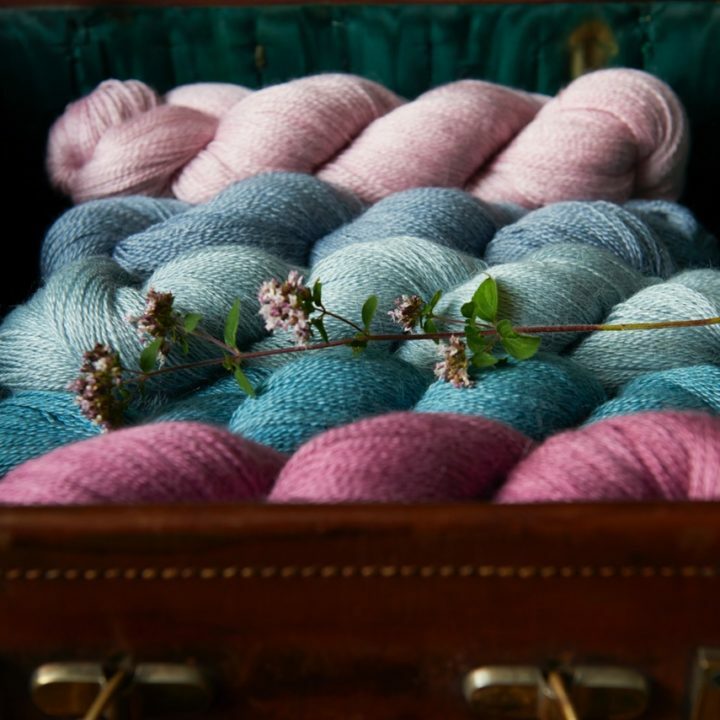 The softest baby alpaca spun with silk to give strength. 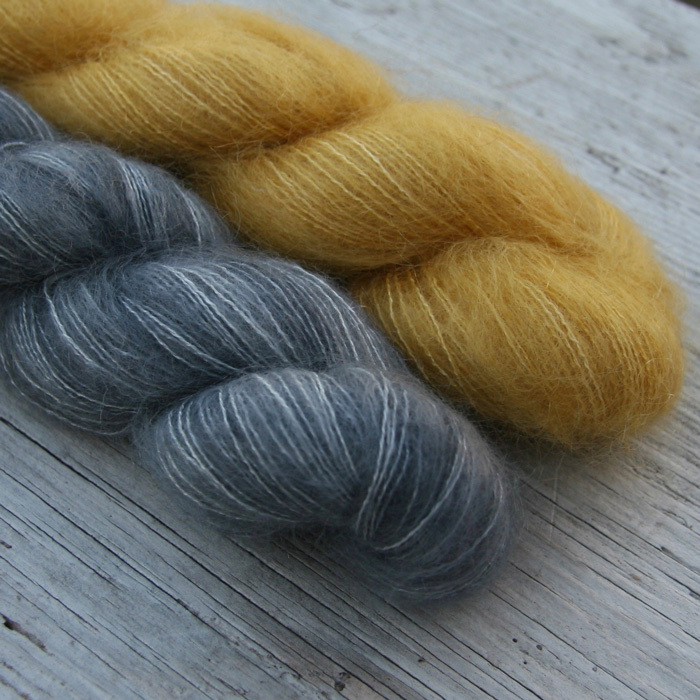 A light, airy yarn with a lovely soft sheen, the halo from the alpaca won’t obscure your stitches. Hand dyed in small batches each skein is 800 metres, enough for a shawl. Ball weight and length – 100g./800m.